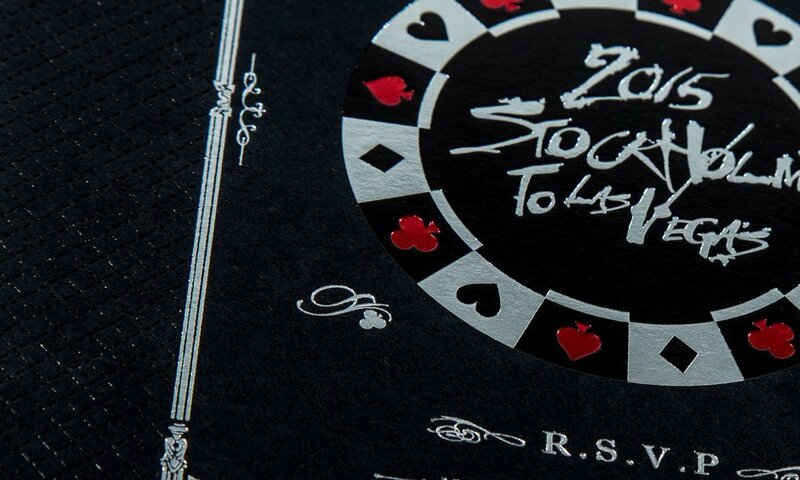 Offering a metallic finish over fine or larger areas up to B2 size, foil blocking creates something special. 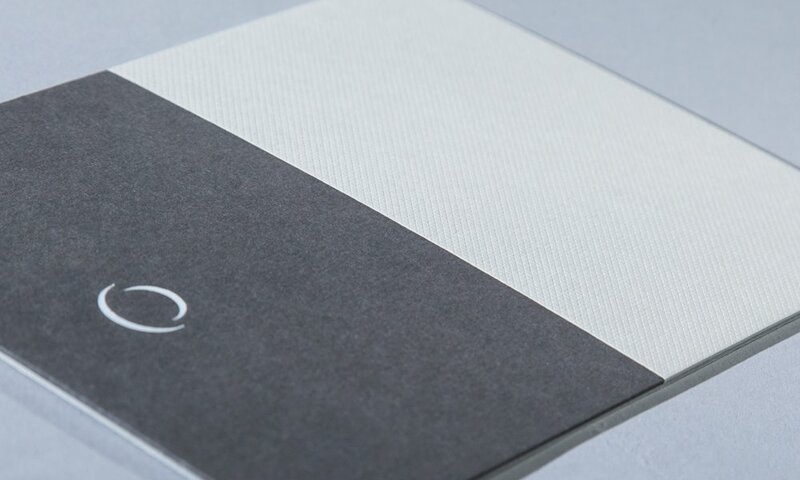 You can select matt or gloss foils in gold, silver or other colours and, optionally, make the foiled area stand out with blind embossing. 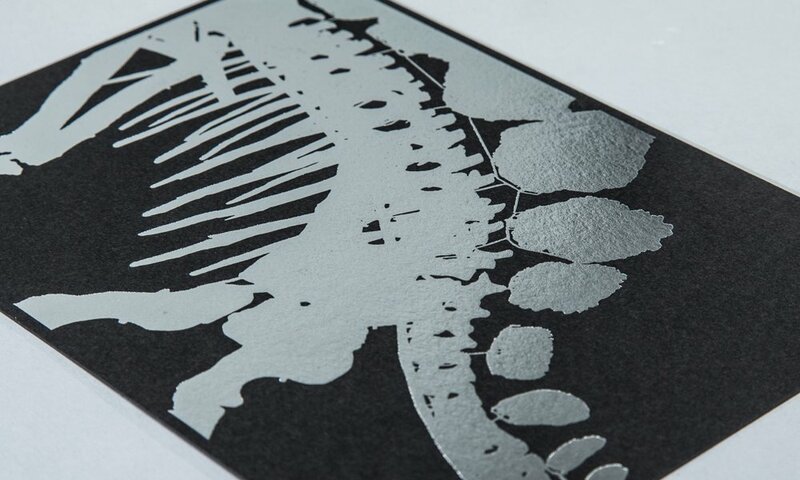 Our foil blocking is normally laser compatible and suitable for laminated and coated surfaces as well as uncoated. Its mechanical precision gives you an uncannily accurate portrayal of the subject. 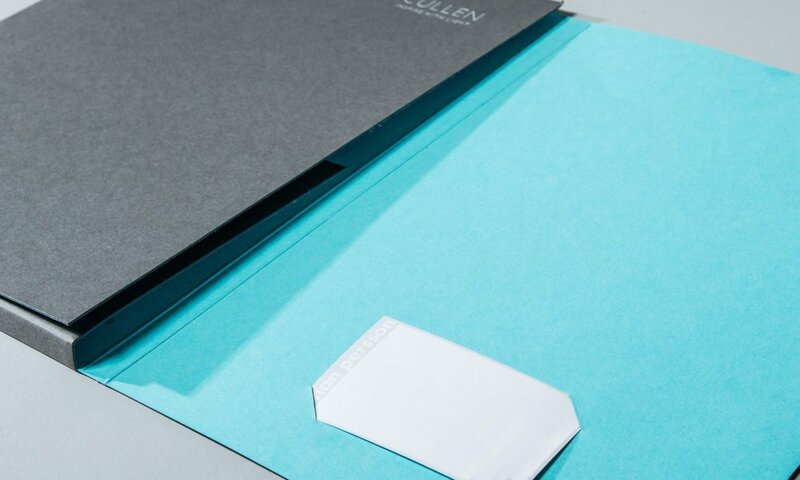 An extensive range of colours and finishes are available from pastels to metallics, VOID or VALID hologram or holographic foils. Highly effective with matt or gloss foils. 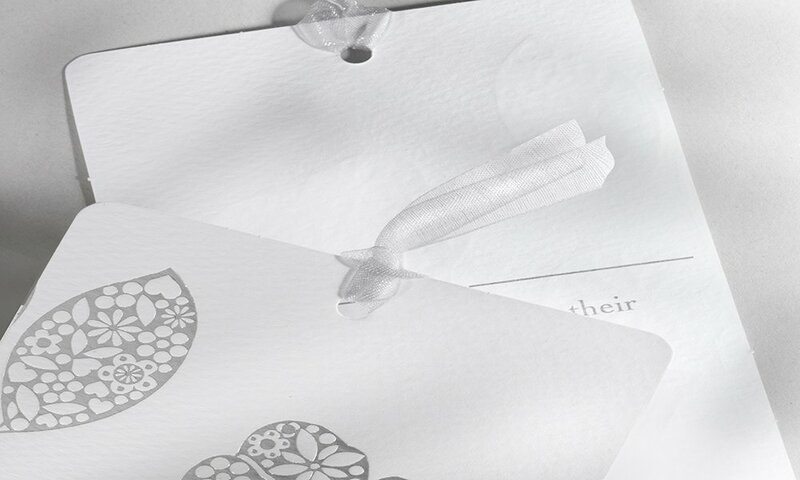 Enhance the effects with blind embossing. Most foils are laser compatible. 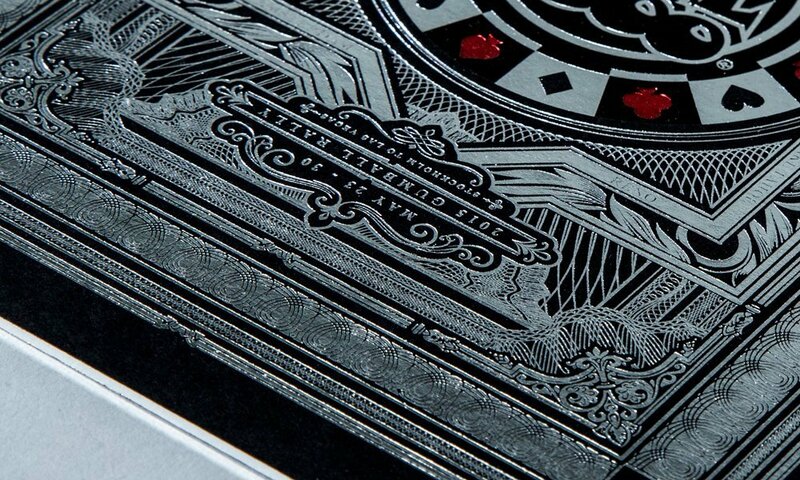 For opaque coverage and brilliant colour, foil stamping is unparalleled. 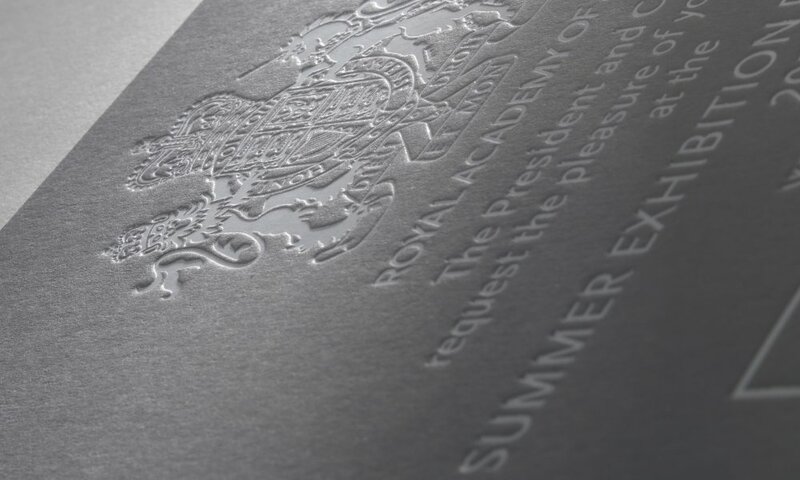 With its contrasting surface textures and shimmering highlights, foil stamping can spark excitement in a business communication and bring a static design to life. 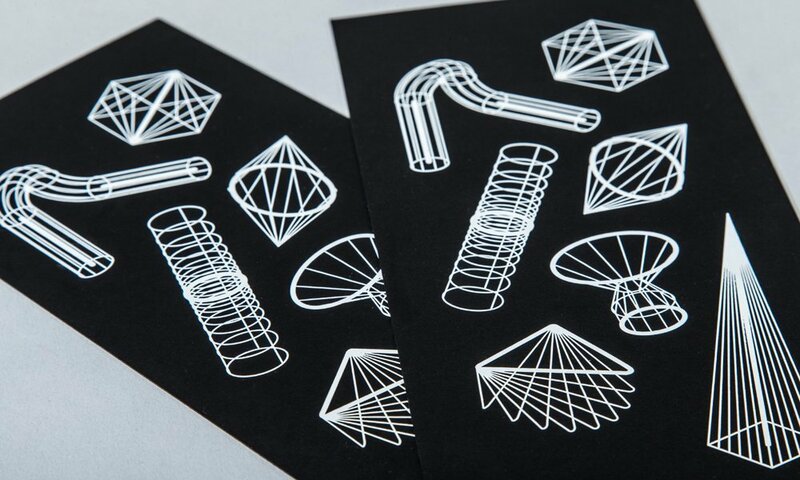 To create a foil blocked image an ultra thin polyester film carrying a foil pigment is fed into a press. There, a die of the desired image is pressed against the paper, trapping the film in between. 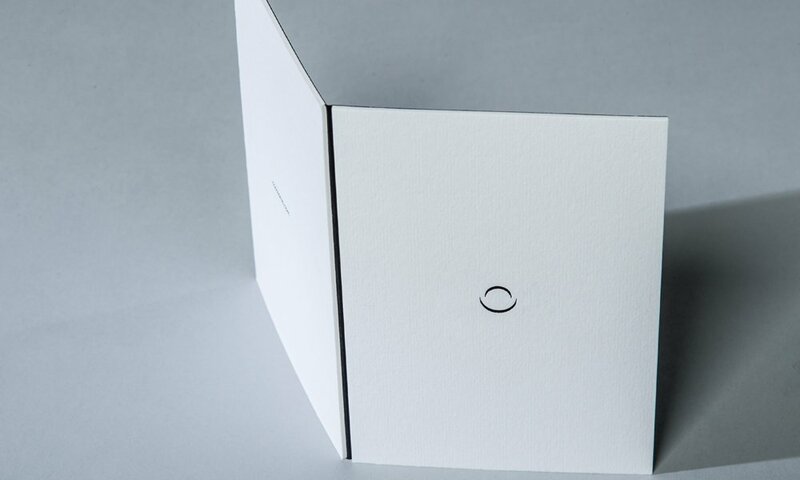 As heat to the die and pressure to the paper are applied, the foil or pigment is released from the film carrier and transferred to the paper, forming a foil image. 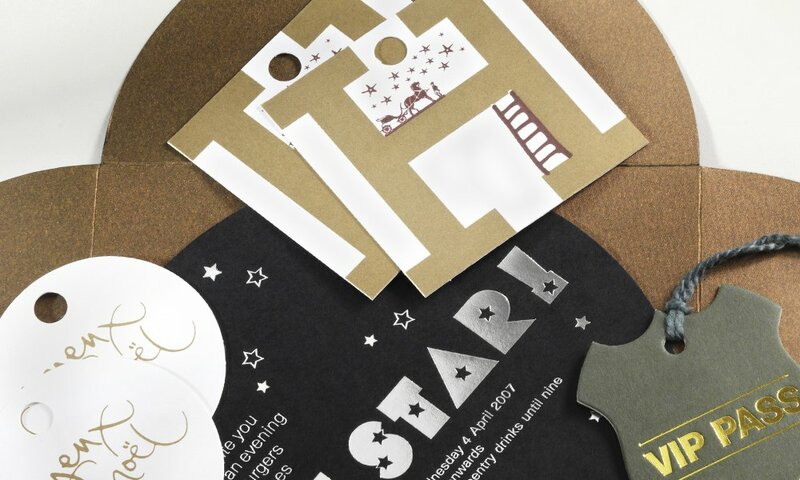 Foils for stamping are available in a myriad of styles; pearl, opalescent, marbled, wood grained, pastel, full colour, clear, glossy, matte or satin. The technique offers the designer a true metallic finish. 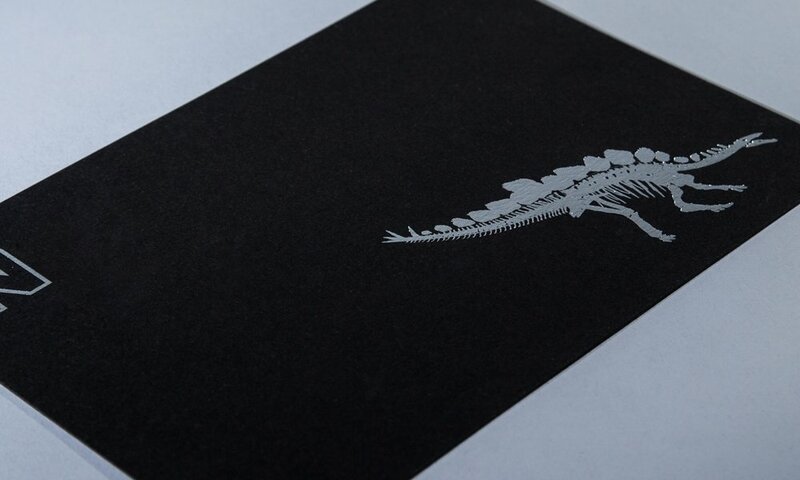 Foil blocking really needs crisp, black and white line art. 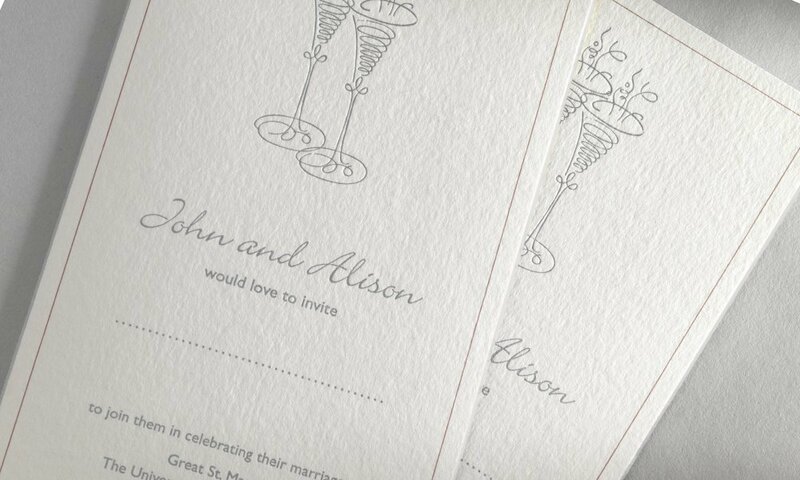 Designs with intricate patterns or tight latter spacing can achieve crisp results on coated or smooth paper stocks. 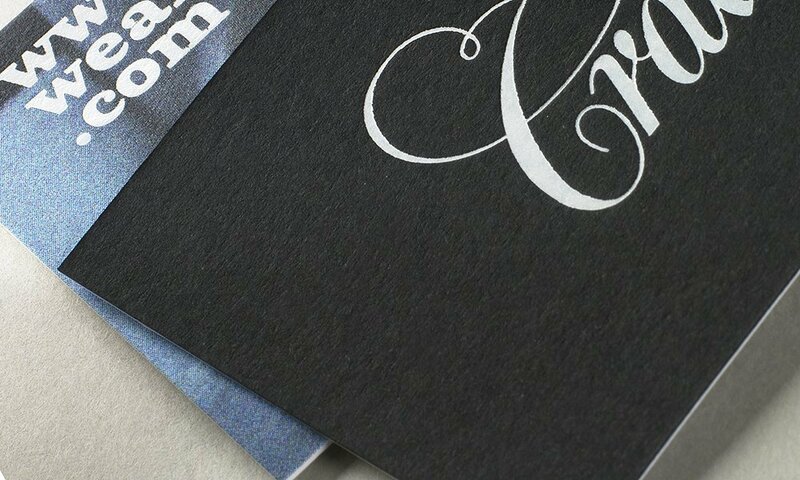 However, since foils can bridge across small spaces, fine detail may not reproduce clearly on heavily textured paper stocks. 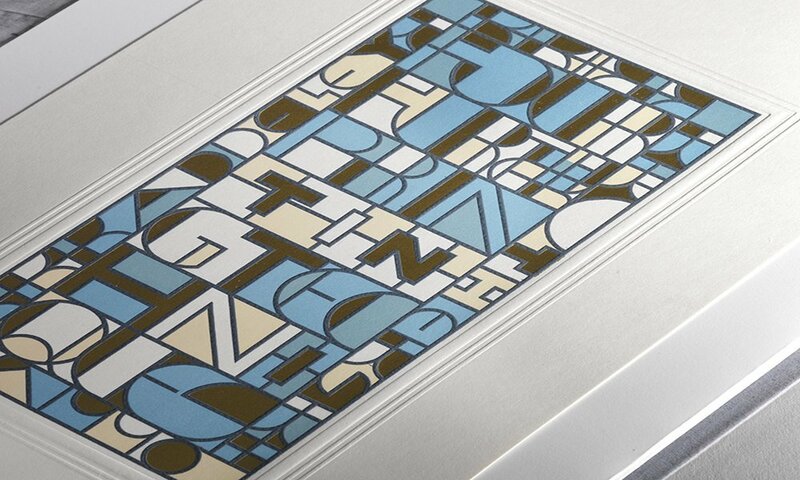 Depending on paper colour and finish, foils may appear darker or lighter when applied. 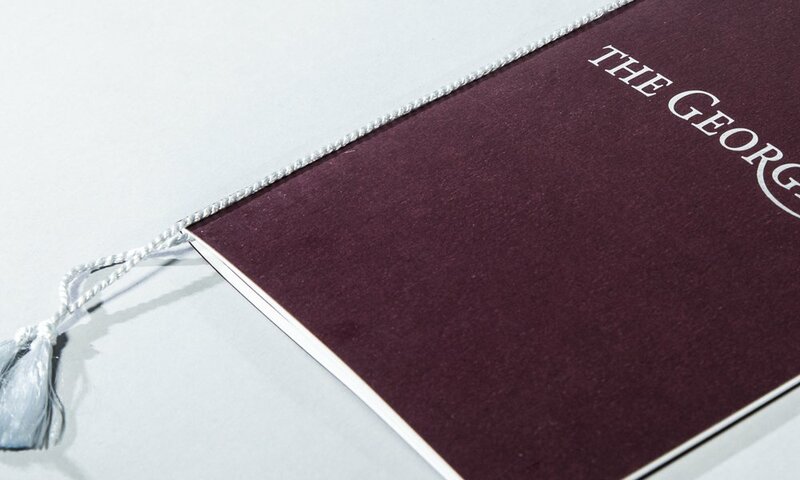 To be sure of colour appearance, ask for a proof of the desired foil on the specified paper before the job is run. 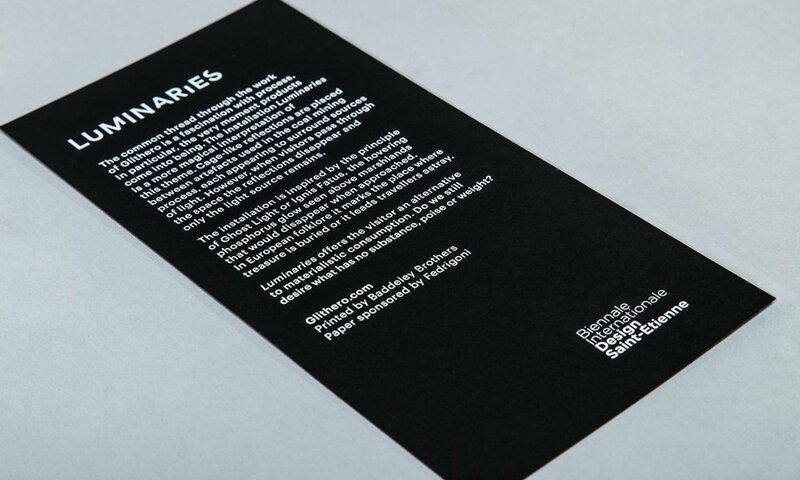 Foils to be blocked over previously printed surfaces demand special consideration. 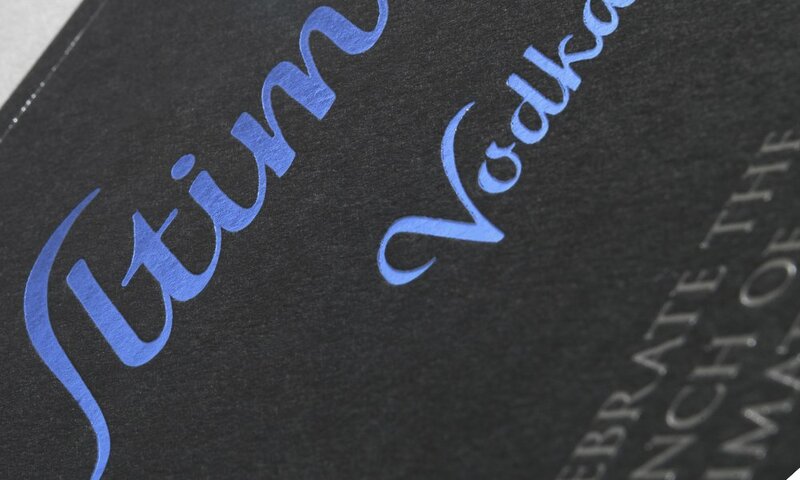 Most modern inks and coatings will accept foil blocking, however some can present challenges. It is wise to test materials for compatibility prior to commission. If in doubt contact a Baddeley Brothers expert or mention your concerns when requesting an estimate/quotation for foil blocking. 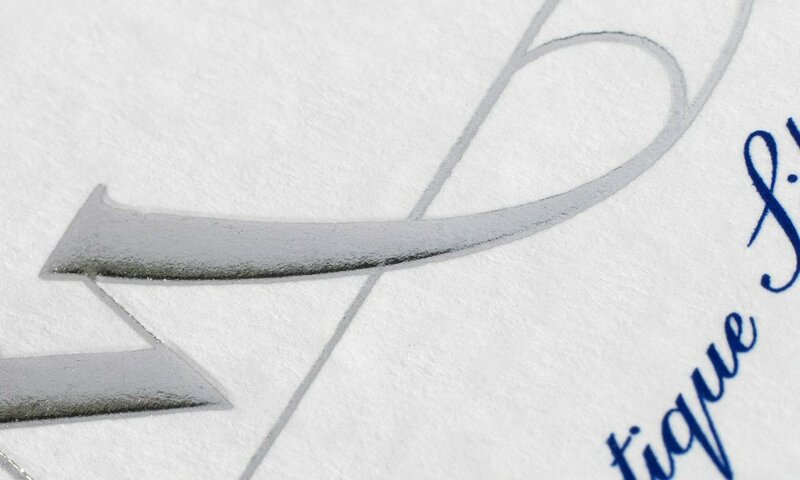 Envelopes can be converted before foil blocking, however it is worth noting that the back of the envelope may show some signs of stressing caused by the blocking process. 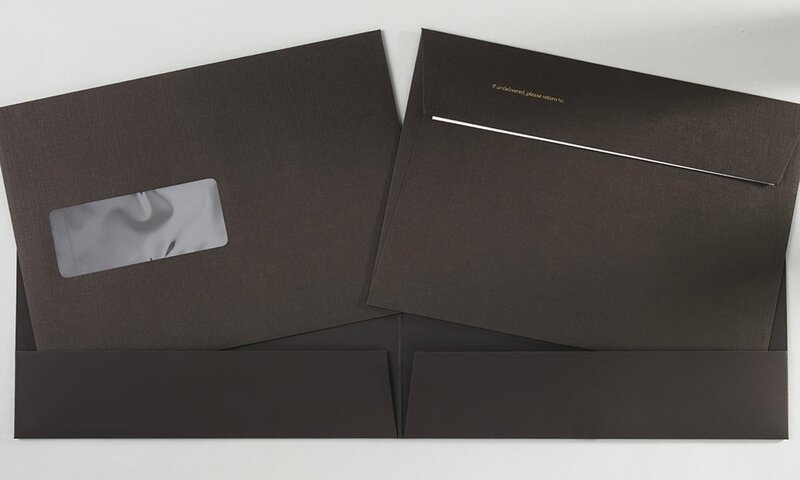 Therefore it is better to foil the flat sheet and we’ll make up the envelopes for you. 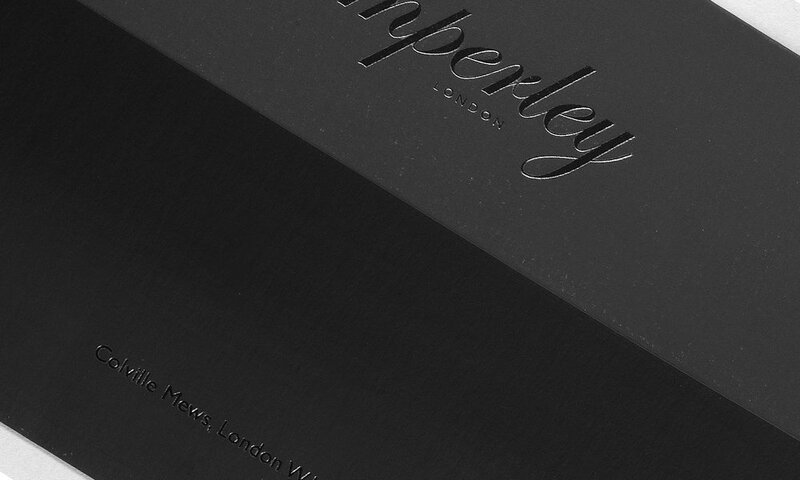 Foil blocking can be used in combination with embossing, provided the entire embossed image is to receive the foil. 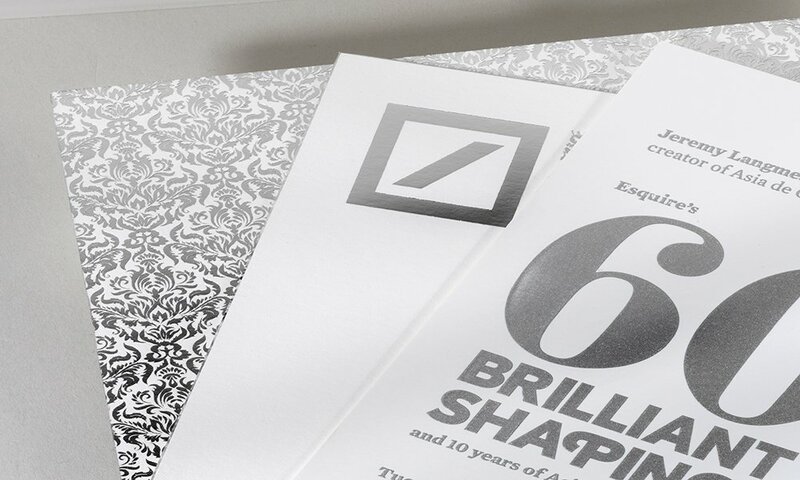 To avoid unwanted surface distortion when specifying combination designs, specify flat blocking and position the design well away from the paper edge. When foil blocking is combined with other reproduction processes, foil blocking is usually done last.